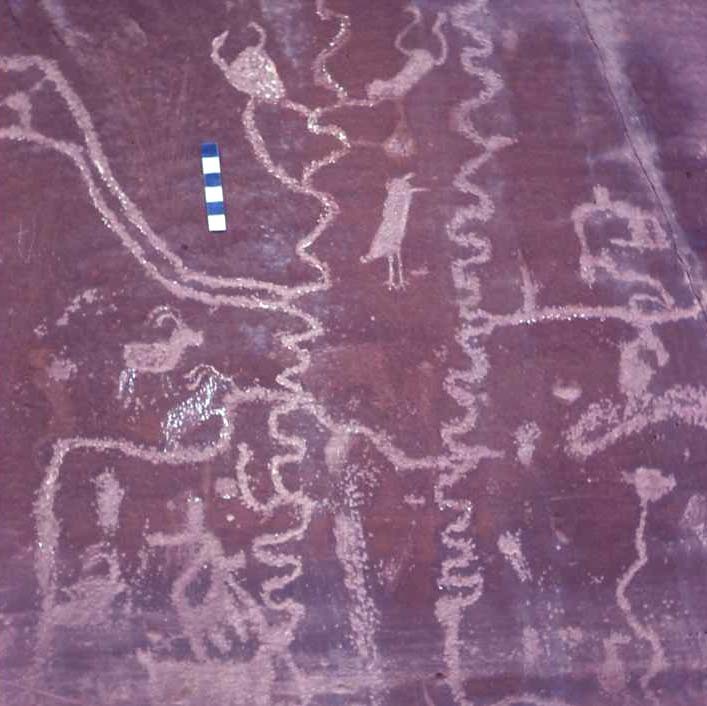 I photographed the Parowan Gap rock art site during summer of 1975 while participating in a Geological Field School organized by Southwest Missouri State University (now Missouri State University). 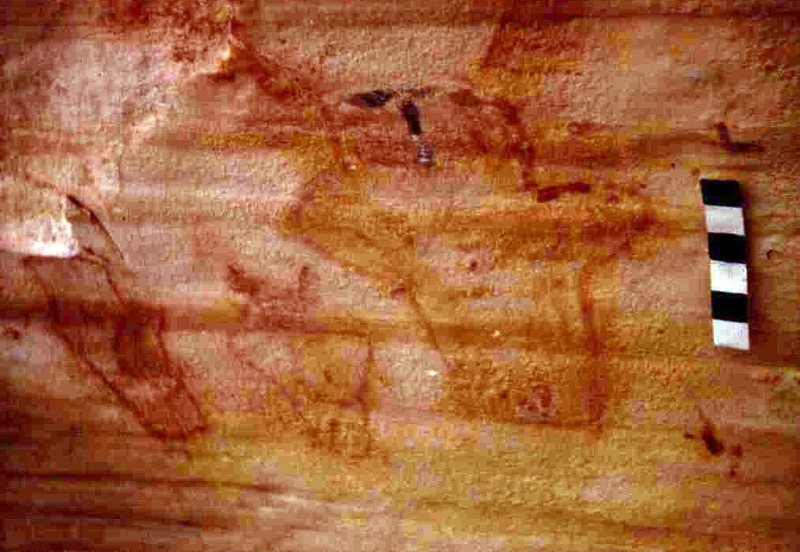 Complex panel with a horned figure. 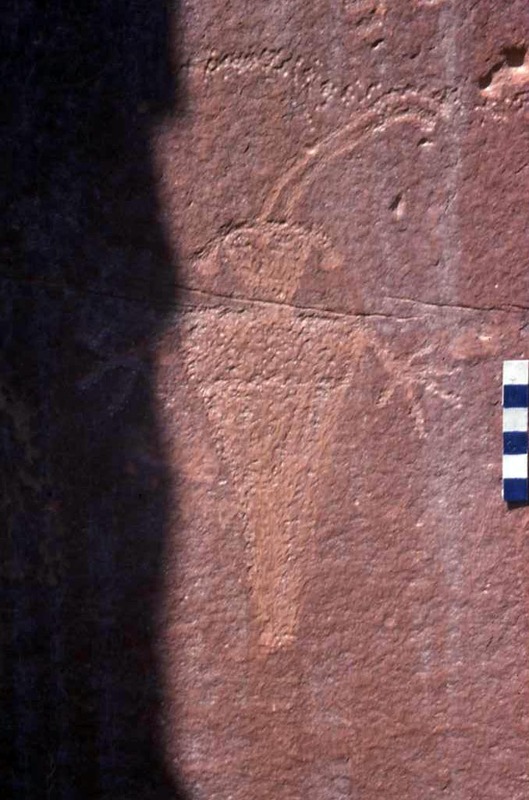 Single figure at the Fruita Site. 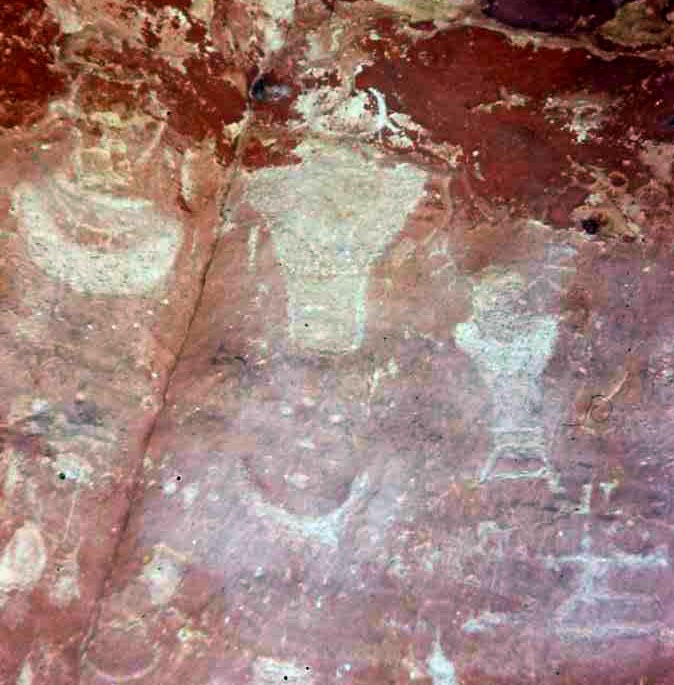 Painted figures at Fruita. The scale is 6 inches long and 1 inch wide. 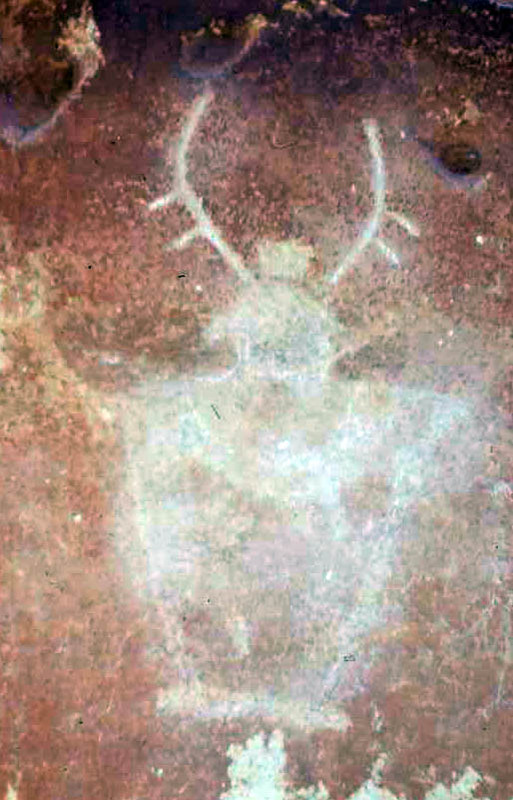 Rock art panel of a deer dancer or deer spirit. 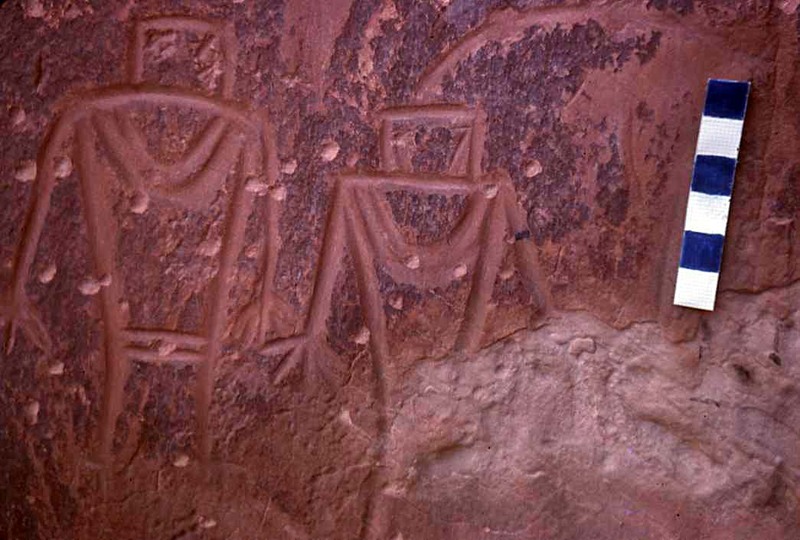 Several horned figures at the Fruita site. 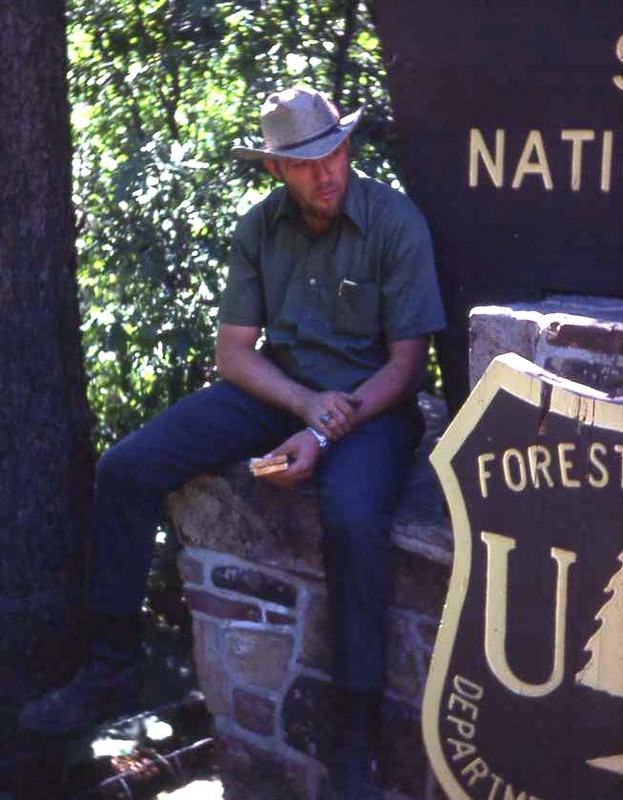 With thanks and respect to Dr. Kenneth C. Thomson (1940 - 2004), Dept. of Geology/Geography at Missouri State University.